7'6" center who was the first overall pick of the 2002 NBA Draft. He was named an NBA All-Star during all eight of his seasons in the NBA with the Houston Rockets, then was forced to retire in 2011 after numerous foot and ankle injuries. He practiced 10 hours a day in order to make the Shanghai Sharks junior team at the age of 13. He was an All-NBA Second Team selection twice and an All-NBA Third Team selection three times in his career. 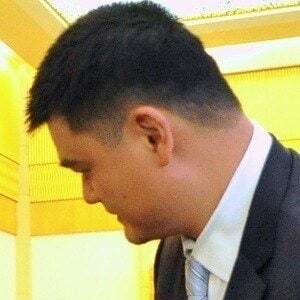 He married Ye Li in 2007 and he has a child named Yao Qinlei. 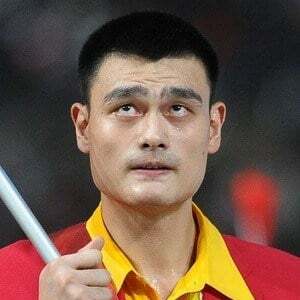 His parents Yao Zhiyuan and Fengdi Fang were both Chinese national basketball players. In the 2005 All-Star Game fan voting, he broke Michael Jordan's record for most votes.